Temperatures will be in the low to mid-80s throughout the day. 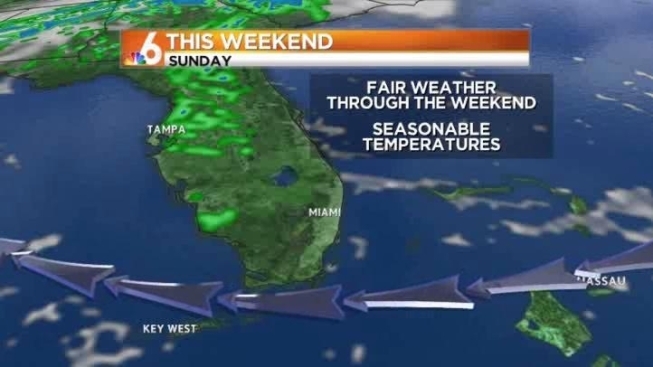 Saturday morning started off with comfortable conditions in South Florida. Temperatures will remain in the low to mid-80s throughout the day. There will be bright sunshine all day with a strong breeze, causing a moderate risk of rip currents. Higher than normal tides could cause coastal flooding. Temperatures will drop to the low 70s Saturday night. Expect a sunny weekend with rain coming back on Tuesday.